The incumbent for Kanata South ward is hoping to secure his seat for a third term. 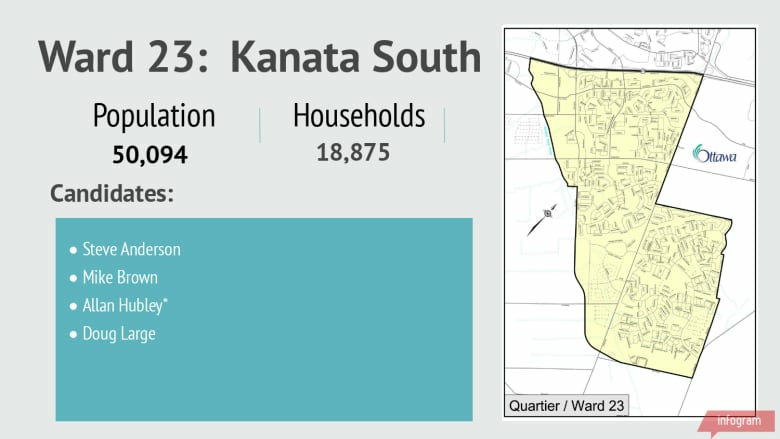 Kanata South has a population of 50,094 people living in 18,875 homes. Join the conversation. Click on this link to become a member of the CBC Ottawa City Talk Facebook group. Allan Hubley is seeking re-election in the suburban ward for a third time, despite earlier promising not to do so. Hubley was first elected to city council in 2010 and he won his seat again in 2014 with 85 per cent of the vote. 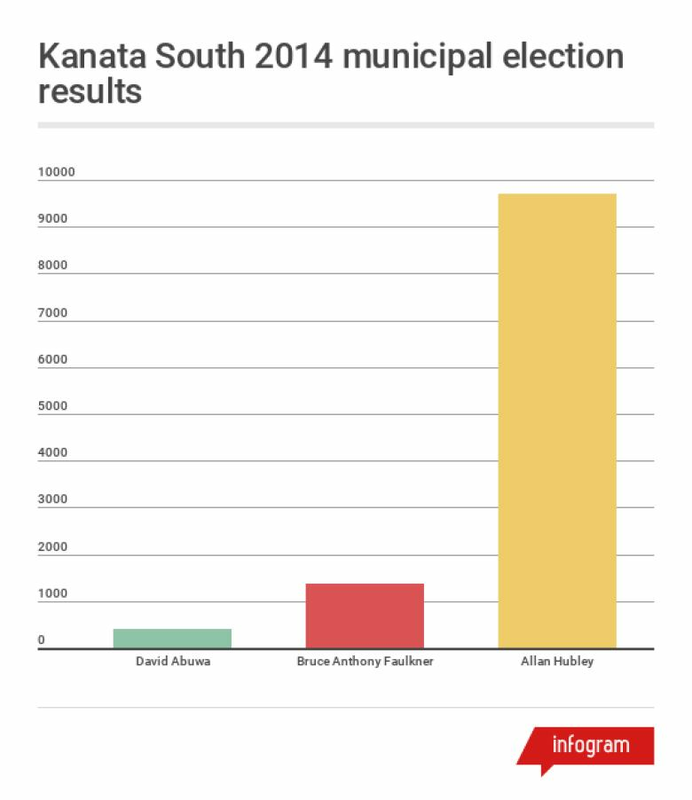 The next councillor for Kanata South will be busy. The ward has a lot of new developments being built, causing traffic and transit headaches for residents. Want to know more about the candidates? CBC Ottawa created a questionnaire and sent it to each of the registered candidates to fill out. You can read the responses below. Some candidates did not respond to the questionnaire. Questionnaires are posted as they were submitted.